My daughter is a girl who loves her shoes and boots. 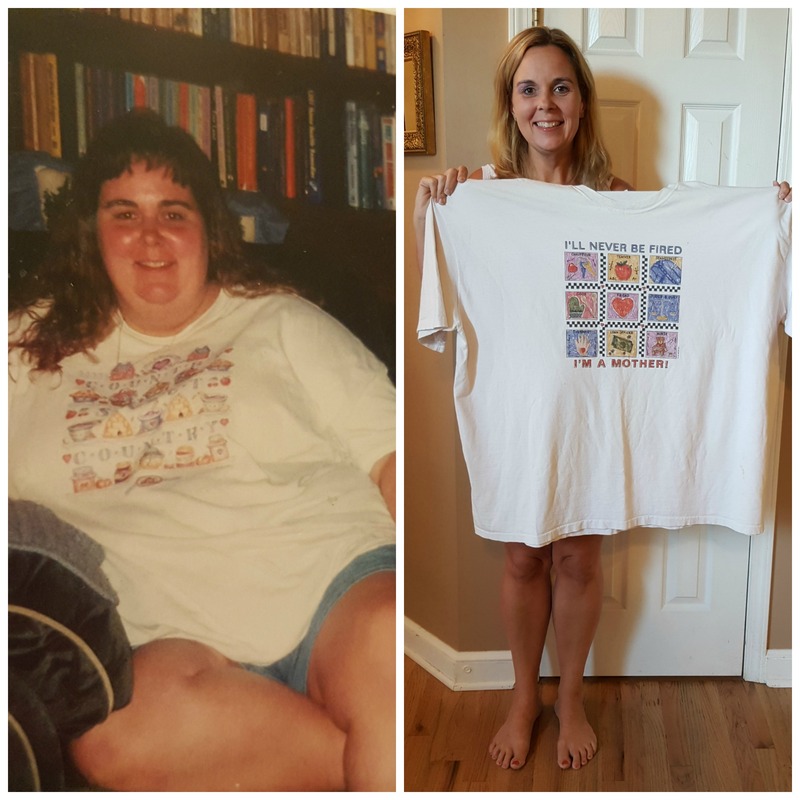 I was introduced to Momobaby.com not to long ago and am I ever glad that I was. The shoes and boots on Momo Baby are so gorgeous and eye catching. From soft sole leather shoes, to hard rubber soles, ballet flats, to boots for both girls and boys. 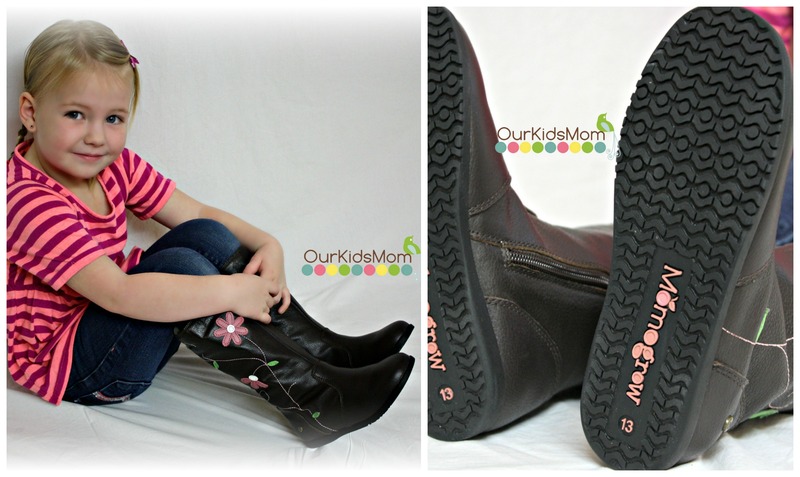 I was sent the Momo Grow Girls’ “Morgan” Leather Boots, and also the Momo Grow Girls’ “Julia” Leather Boots. I fell in love with both these pairs of boots on their web site and couldn’t wait for them to arrive. Opening them up out of the box they are even more gorgeous in real life. 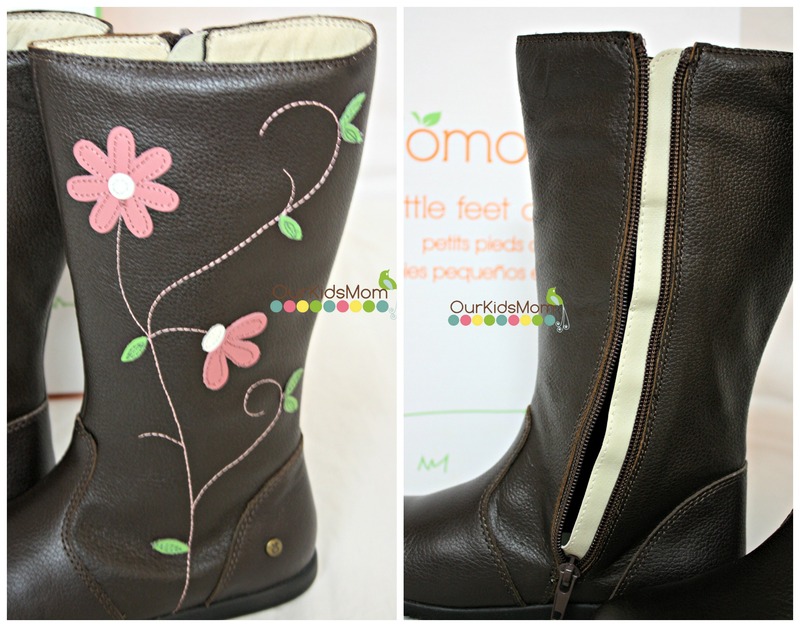 The Julia boots are a knee-height leather dark brown boot with an adorable pink leather flowers stitched on the side. On the other side is a full length zipper opening to make putting these boots on and off super easy and quick. The tread on the boots are simply amazing. These boots have a superb rubber sole with the best grip I have seen on a dress boot. You can wear the Julia boots with any outfit you pick out of the closet. No matter whether your dressing up or down, these boots will just finish off any outfit. The Morgan boots are a mid-calf brown leather boot with 3 buckles across the front, along with a ruched accent across the front. 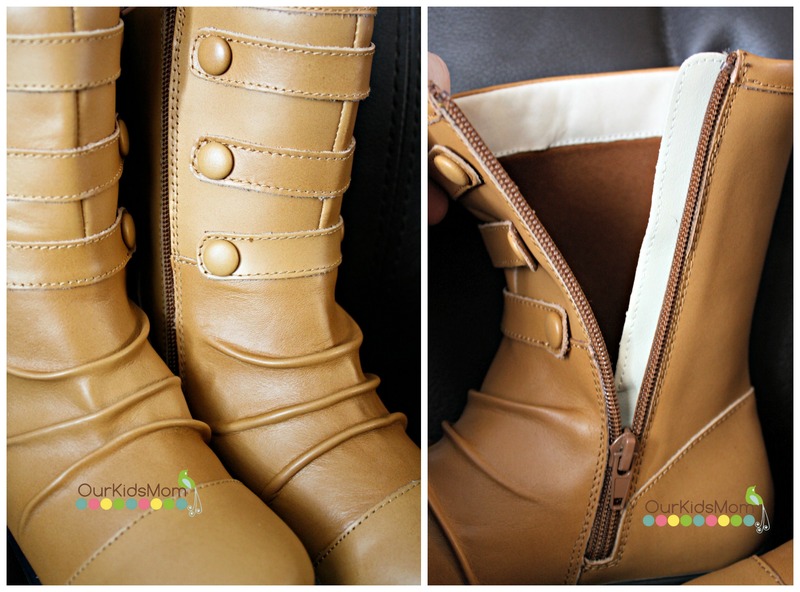 The side has a wonderful side zipper for making putting the boots on and off nice and easy. The tread on the Morgan boots have the same superb rubber sole as the Julia for maximum grip. 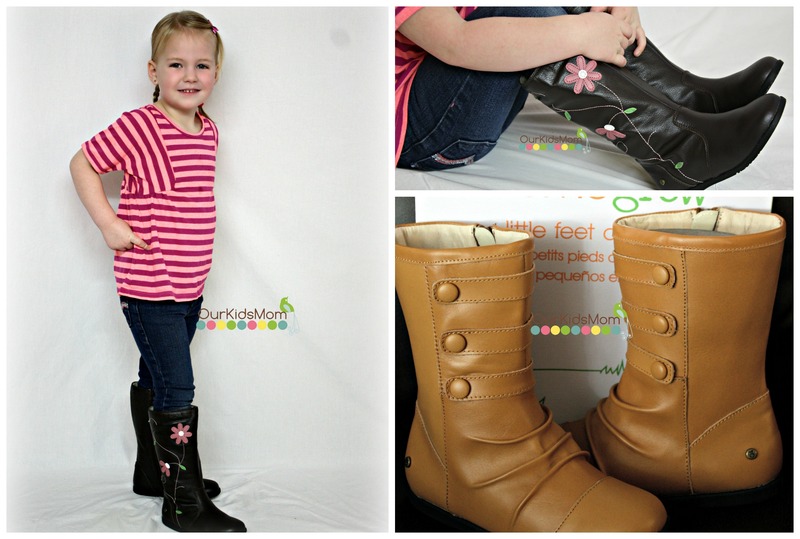 These boots are so versatile that you can use them for dress up or down on any outfit. 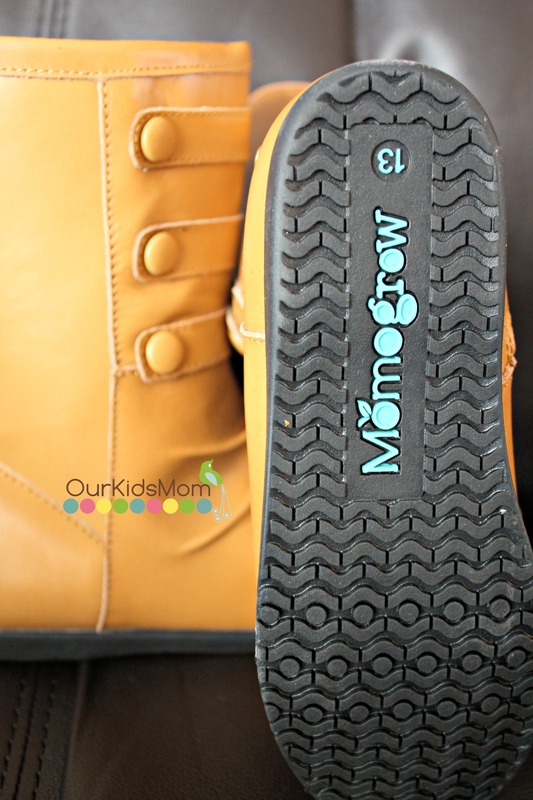 Momo Baby not only offers great footwear but also feeding products, bags, and maternity wear. If your looking for fun stylish baby and maternity products then waste no time and head over to www.momobaby.com where you can find great gifts for those on your Christmas list. 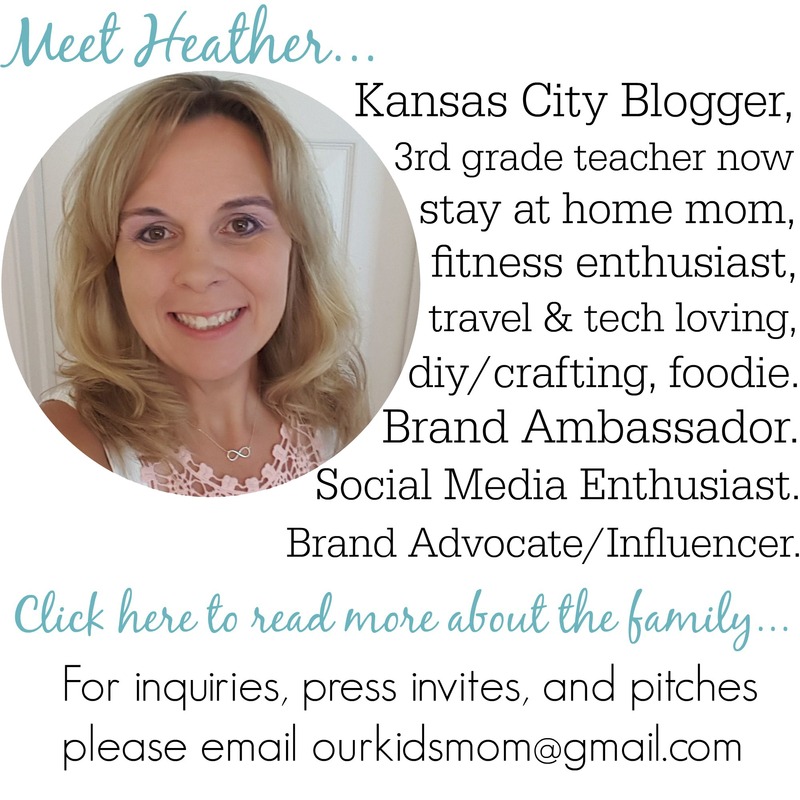 Momo Baby is offering OurKidsMom a 20% off coupon code for your holiday shopping! Super cute for little ones! What super cute boots these are. My nieces would love them. Very nice quality boots! I love there Fold over Bow Shearling Boots. So adorable and look very comfy. My daughter would love these.